For many people, Thanksgiving dinner is not complete without a turkey on the table. But with diet trends turning toward vegetarianism, veganism and flexitarianism, people are starting to break away from the traditional turkey dinner for health, animal welfare or environmental reasons. Luckily, there are amazing plant-based dishes that you can prepare for a mouth-watering Thanksgiving feast, making it easier than ever to skip the turkey. Here are some ideas for main dishes that will replace the turkey on your table, plus some side dish and dessert ideas that will keep the food at your celebration completely plant-based. Forget the tofurkey — try this basic meat substitute for a savory, meaty main dish that you can use for Thanksgiving day, and any extras will be perfect as salad toppers or sandwich fillings. This recipe comes from One Green Planet, and it does have an involved process. But the results are totally worth it. Another idea from One Green Planet, this recipe is not the traditional pot roast your mom would make, but it is the perfect recipe for a large Thanksgiving dinner. The biggest plus about this dish is that you make it in a slow cooker. Just throw everything in the pot, and let it cook while you make your other dishes. This recipe from Plant Based Cooking is perfect for picky eaters, vegan or not. Lentil shepherd’s pie is loaded with mushrooms, carrots, peas and garlic mashed potatoes, and you can easily refrigerate or freeze it. Perfect for the holiday season, this recipe from Vegan Heaven is easy to make, super healthy and beyond delicious. You will impress your family with this main dish, which takes a little over an hour to make and bake. This is a vegetable main dish that will have your family and friends talking long after Thanksgiving is over. This recipe features roasted butternut squash stuffed with eggplant, zucchini and whole scallions. Then, you layer it with a puree of sautéed mushrooms, red onion, chickpeas, scallions, red lentils and gluten-free breadcrumbs. You might be able to skip turkey at Thanksgiving, but no one can live without the stuffing. This delicious vegan recipe from One Green Planet takes a little time to make, so you might want to prepare it a day in advance. Free of dairy, egg, corn, soy and yeast, these pumpkin biscuits from Vegan Richa are easy to make and perfect for any guest at your Thanksgiving dinner. They feature fresh sage and thyme, and they are a savory side dish that is crisp on the outside and moist on the inside. Who says you need dairy products to make fluffy, creamy mashed potatoes? This recipe from The Vegan 8 calls for just eight ingredients to make creamy mashed potatoes that are full of flavor with a buttery taste that comes from apple cider vinegar. They will be one of the most-loved dishes at your Thanksgiving dinner. If you are looking for an easy side dish that you can throw together, try this recipe from Veggies Don’t Bite. Not only is this carrot dish loaded with flavor, but the lemon thyme sauce will make you want to lick your plate clean. 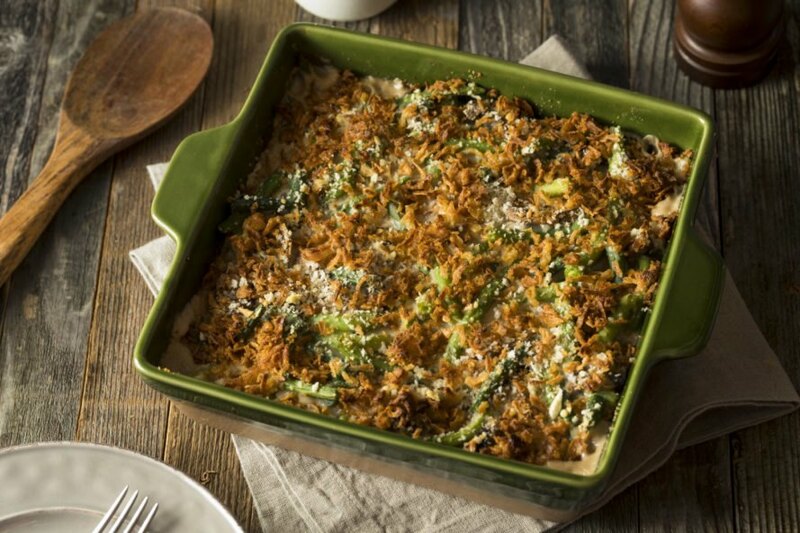 This casserole is so creamy that you won’t believe it doesn’t contain dairy. Using raw cashews, unsweetened almond milk, bread crumbs, onions, garlic, flour, EVOO, mushrooms, white wine, soy sauce, salt and black pepper, this dish from Hummusapien will be so good, no one will know its vegan. This recipe from the Center for Nutrition Studies is a healthy, vegan alternative to the popular holiday dessert. It is decadent, but not too sweet, and it is gluten-free and soy-free. If you want to add a chocolate dessert to your menu, here is a delicious option that has a cookie crust and light filling that will make any chocolate lover happy. With veganism, vegetarianism and flexitarianism on the rise, it makes sense that so many people are on the hunt for delicious, plant-based recipes for Thanksgiving. Here are some of our favorites. 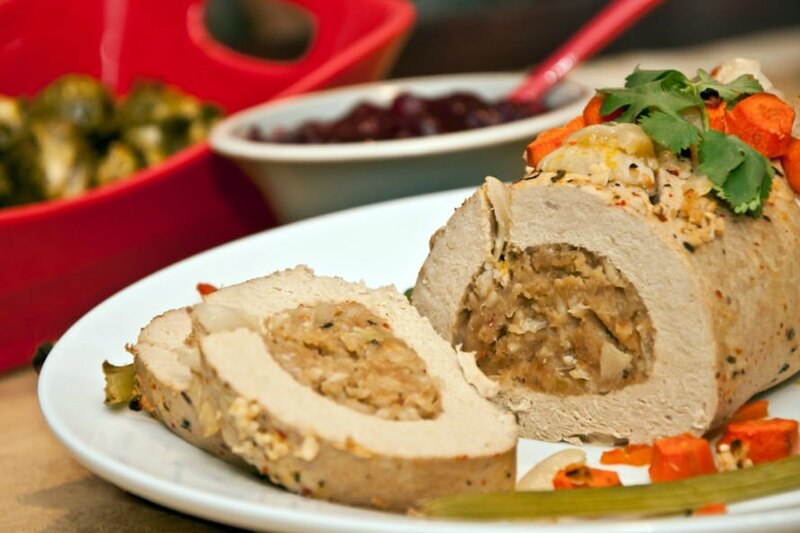 From seitan to lentils to an impressive vegducken, there are plenty of options to replace the Thanksgiving turkey. Even your favorite side dishes, like mashed potatoes or green bean casserole, can be made vegan. 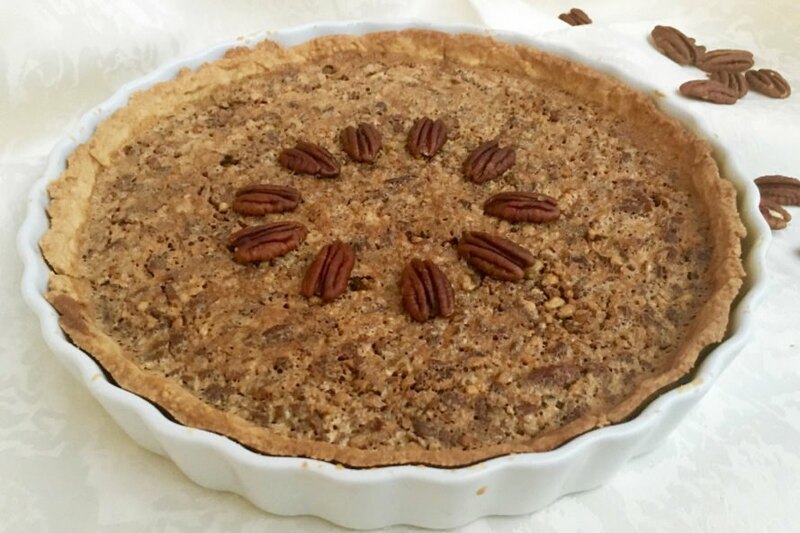 Try a vegan pecan pie or chocolate ganache mousse pie to wow your dinner guests. What plant-based recipes will you make this Thanksgiving?